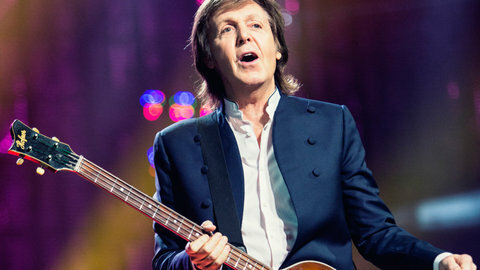 Paul McCartney amped up the anticipation for the Sept. 7 release of his upcoming Egypt Station album on Monday (July 23) by playing what was billed as a “secret show” at Abbey Road Studios and premiering four new songs from the album. The set list for the Abbey Road Studios show, which took place in Studio 2 where The Beatles did much of their recording and which a McCartney spokesman confirmed was recorded for Spotify for broadcast at a later date, included four new songs: “Fuh (cq) You,” “Who Cares,” “Confidante” and “Come On To Me.” McCartney first played “Come On To Me” June 9 at the surprise Liverpool pub gig during the taping of “Carpool Karaoke” with James Corden. He has since released that song along with “I Don’t Know” ahead of the album. The video of “Carpool Karaoke” has amassed over 28 million views on YouTube since it was posted on June 21. The other new songs from Egypt Station that were performed are “Who Cares,” “Confidante” and “Come On to Me.” McCartney first played “Come On to Me” on June 9 at the surprise Liverpool pub gig during the taping of Carpool Karaoke with James Corden. He has since released that song along with “I Don’t Know” ahead of the album. The Carpool Karaoke video has amassed more than 28 million views on YouTube since it was posted June 21. McCartney walked to the studio and then delighted fans by walking across the same zebra crossing on Abbey Road he and his Beatles mates did on Aug. 8, 1969, for their famous album cover. 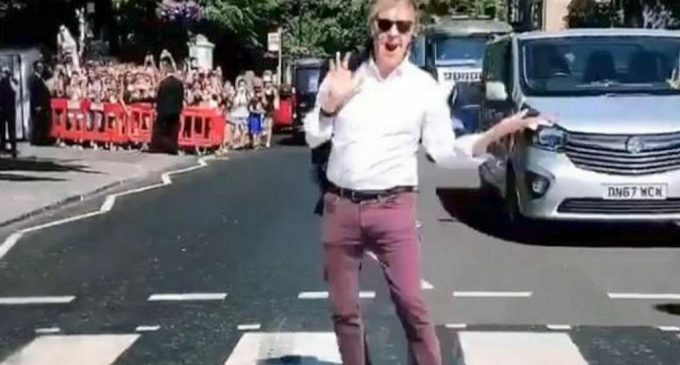 Videos showed the fans cheering as McCartney strolled across the street. Pictures also showed Stella McCartney, Paul’s fashion designer daughter, in attendance. McCartney announced last week that he’ll do a live Facebook Q&A on Wednesday as he talks with students at the Liverpool Institute for Performing Arts and also takes questions from fans through social media. The event will take place at 2 p.m. BST/9 a.m. ET. McCartney was a co-founder of the school with Mark Featherstone-Witty in 1995-96. In his younger days, McCartney was a student in earlier days when the school was known as the Liverpool Institute High School For Boys. George Harrison also attended the school. He recently announced a new tour called Freshen Up with dates in Canada, the U.K., Poland and Austria. He’ll be among the headliners at the 17th annual Austin City Limits Festival in Austin, Texas, on Oct. 5-7 and Oct. 12-14. See the video of Paul McCartney walking to Abbey Road below, and check out the set list from Monday’s show too.